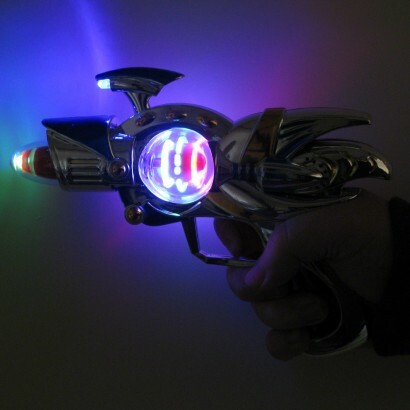 Packed with colourful LED's the large Flashing Space Gun has a central disco ball with spinning colourful LED's! 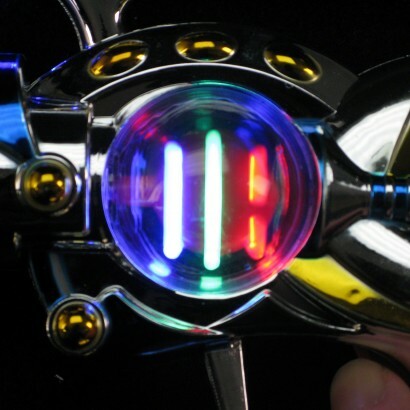 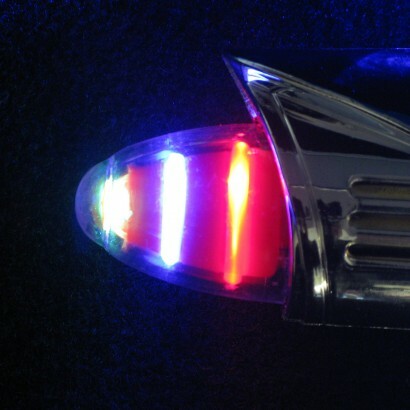 The tip of the stun gun lights up in decreasing circles for a fun ray gun effect whilst it's sleek, shiny body comes straight from the future. 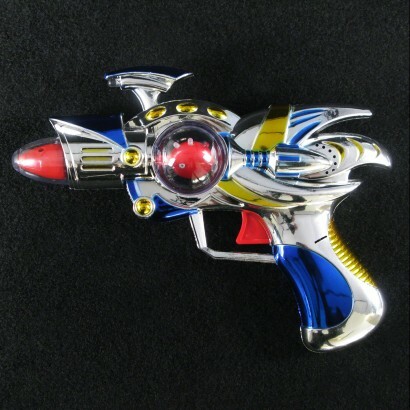 Perfect for fancy dress, themed events and just for fun, this large flashing space gun is guaranteed fun!